GMO | Healthy Eating Rocks! Even though GMOs have been in our food supply for years, there are still a lot of unanswered questions about them. There are legitimate environmental and societal concerns including the corporate control of the food supply, loss of crop diversity, and the escalating use of herbicides. The safety of GMOs is a whole other matter and something that is very important to me as a health professional. Proponents claim they offer a plethora of benefits including higher yields, more nutritious food to feed the hungry, fewer weeds and bugs, and a decrease in herbicide use. But reality tells an entirely different story. While they make millions for multinational corporations, they don’t offer consumers a thing. Although it is nearly impossible to have a civil conversation about GMOs, discussion about scientific issues is necessary and important. Here are 10 things worth considering in the ongoing and contentious debate about GMOs. 1. GMOs have not helped to feed the world. This is partly because a lot of GMO corn and soy are used for other things such animal feed or ethanol production, and not human consumption. Most of the GMOs we do consume are found in the junkiest processed food available, which does not improve anyone’s nutritional status. Although we grow more GMOs than any other country, 33.3 million adults and 15.8 million childrenlive in households that are food insecure. 2. Yields for GMO corn and soy have not gone up significantly. But herbicide use has increased by 404 million pounds. 3. Weeds are becoming resistant to the herbicide glyphosate (used with GMOs) and now cover about as much farm land as the state of Oregon. A toxic new herbicide called Enlist Duo, made with 2,4 D (half of agent orange), has been approved by the Environmental Protection Agency to fight these weeds. This herbicide is linked to non-Hodgkin lymphoma, Parkinson’s, and may be particularly harmful to children. 4. GMOs have dramatically decreased the monarch butterfly population due to glyphosates destruction of milkweed, the monarch’s breeding habitat. 5. Some believe the hypothetical “golden rice,” genetically engineered to be higher in vitamin A, could help prevent blindness. However, Jonathan Foley, Ph.D., and executive director of the California Academy of Sciences says, “Why pick an expensive, high-tech approach — costing millions of dollars and decades of work, with no guarantee that people will accept and eat orange-colored rice — rather than low-tech, simple solutions that could work right now?” Why indeed. 7. 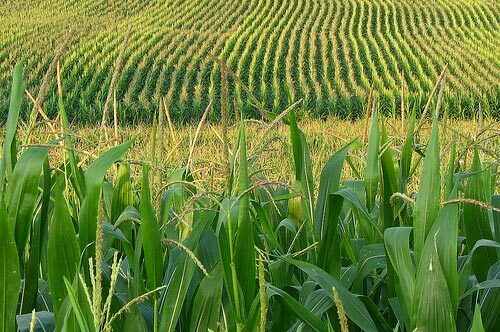 Substantial equivalence, which is used by the Food and Drug Administration (FDA) to approve GMOs, compares the compositional analyses of a GMO crop to a similar plant that is not a GMO (isoline). This process looks at nutrients, antinutrients, and toxins to determine if there are any significant changes. The problem is there may be other changes we are not aware of that are not a part of this comparison. Trans fats, for example, have just one change in the placement of a single hydrogen atom. That one change totally alters their impact on human health. Are we really aware of all of the subtle changes that can occur with genetic engineering? Additionally, substantial equivalence has failed the FDA before. Metal on metal hip replacements are one example of a technology approved using substantial equivalence with disastrous results. These hip replacements had a high failure rate due to the erosion of metal and it’s migration into the surrounding tissues. Ultimately, it’s impossible to know the long-term implications of a technology without appropriate research. 8. 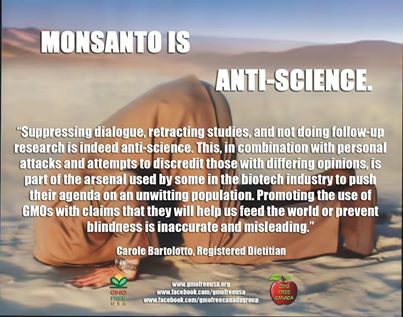 Some think that GMOs must be safe since we have been eating them for 17 years without any demonstrated harm. However, in reality our health has been declining, not improving. We weigh more and have more co-morbid conditions than ever before. In fact, a recent Journal of the American Medical Association article states that we spend a fortune on health in the US, more than any other industrialized nation, yet we have “fallen behind peer countries in terms of improvements in population health.” While you can’t say this is because of GMOs, you can’t say its not. And that’s why we need human studies. 9. Questioning GMOs does not mean you’re a fear mongerer, denier, or anti-science and has no relationship to climate change or vaccines. It just means you’re cautious about a technology we don’t need to survive. 10. GMO proponents spent 45 million dollars to block labeling in California and 22 million in Washington. So far they have spent about almost 19 million in Oregon and 11 million in Colorado. That’s close to a 100 million dollars in total. The biggest spenders have been Monsanto, DuPont/Pioneer, Coca Cola, Pepsi, Kraft, Land O’ Lakes, and Kellogg’s. What are they trying to hide? There are many reasons to question GMOs. But the concerns about safety and impacts on the environment are almost a moot point. The irony is, the behavior of biotech corporations and food manufacturers to thwart labeling at every turn and some scientists, journalists, and bloggers who attempt to discredit anyone who disagrees with their ideology, has alienated many. So for a lot of people, even if someday research shows GMOs are safe and we understand their long-term effects, they still will not want them. And this is their fatal mistake–and their undoing. Even millions spent on clever video programing orchestrated by Conde Nast and Monsanto,the recruitment of mommy bloggers, and misleading articles and hit pieces about anyone who questions GMOs, can’t fix their PR blunder. The consumer rejection of GMOs is why some companies are already “quietly dumping GMO ingredients” as reported by NPR. Sometimes freedom of choice is the most important consideration of all. Want to exercise yours? Check out my previous post for tips on how to avoid GMOs. And vote “yes” to label GMOs. Dr. Clemons also supports food additives, sugar, and processed foods, but I digress…. The problem with concluding that GMOs are safe is that the argument for their safety rests solely on animal studies. These studies are offered as evidence that the debate over GMOs is over. Nothing could be further from the truth. Animal studies have value in that if something demonstrates harm in animals, it will also likely cause harm in humans. Although some animal studies have found harm from a GMO diet, these hotly debated studies are not the point of this article. 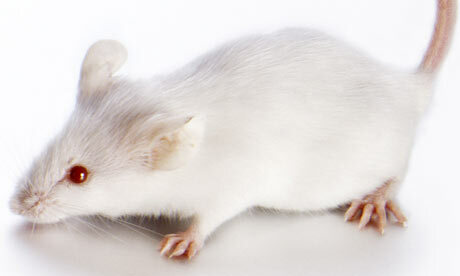 The point is, if an animal study does not find harm with a particular substance, it may still cause harm in humans. A good example of this is what’s happened with artificial sweeteners. The US Food and Drug Administration (FDA) approved artificial sweeteners for use using animal toxicology studies. Once these sweeteners were added to the food supply–and labeled as such–scientists were able to do epidemiological studies (also called observational studies) in humans. Several of these studies found that artificial sweeteners are linked with negative health effects. The Framingham Observational Study found that both diet and regular sodas are associated with metabolic syndrome (a constellation of symptoms such as abdominal obesity, high blood sugar, elevated triglycerides, and high blood pressure that are linked to an increased risk of heart disease). Yet another study revealed that diet sodas may increase the risk of diabetes. The Nurses’ Health Study found that two or more diet sodas a day were associated with a 30 percent decrease in kidney function over time. Yet none of these results were found in animal studies.Clearly, there are still many unknowns about the impact of artificial sweeteners on human health. Dr. Walter Willet, from the Harvard School of Public Health, sums things up nicely by saying: “It’s difficult to make blanket statements about the safety or risks of low-calorie sweeteners because all are very different in their structure and how they work in the body. The reality is, some studies have been done in animals, but we really don’t have good long-term data on humans with any of these.” And the same is true for GMOs. 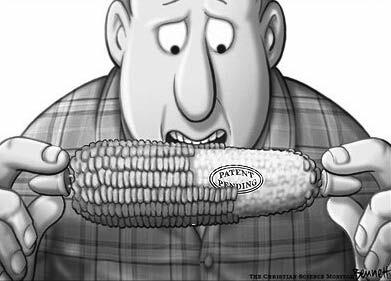 Ultimately, we need GMO labeling so we can do the epidemiological studies that are essential to determine their risk. Without long-term data–in humans–no one can make the claim that GMOs are proven safe. I have spend the past few years trying to get the word out about GMOs (genetically modified organisms). I have had some truly interesting experiences, some which I have talked about, such as my travails with the Academy of Nutrition and Dietetics, and some which I may never talk about for a variety of reasons. These experiences have given me a different perspective on things and perhaps a more realistic view of how big food and big agriculture work. And because of what has happened, I have had the opportunity to also blog for the Huffington Post. Please consider following me there as well! My most recent piece is about what happens to scientists who go against the grain and dare to publish research that criticizes GMOs. The intro and link to the full article are below. Is the Academy of Nutrition and Dietetics Committed to Telling Americans the Truth About What They Are Eating? A few days ago, an article appeared in the New York Times entitled, “Food Politics Creates Rift in Panel on Labeling,” by Stephanie Strom. It was about my dismissal from the Academy of Nutrition and Dietetics work group for not disclosing a business that I don’t even have. The work group was tasked to review the evidence related to food technologies, including genetically modified foods. I was happy to be a part of the group because I have seen how industry uses these position papers to support their stance. Last fall in the state of California, we had a proposition on the ballot that would require the labeling of genetically engineered foods. The state voters’ guide incorrectly said that the Academy of Nutrition and Dietetics had concluded that “biotech foods are safe.” However, the Academy’s position was expired, so they actually had no position. The Academy issued a press release about this, but it was too late. The voter guide was already mailed to over 18 million registered voters. And Prop 37 lost. This is why I wanted to be on the group. I was hoping to prevent this from ever happening again. Two members, Jennie Schmidt and Marianne Smith Edge, disclosed their ties to industry groups such as Monsanto. The evidence review was not going to link to the position paper. And it would only include human studies, not animal. The problem with this is that there are not very many human studies to review. The position paper was going to be written by Christine M. Bruhn, PhD, from UC Davis, a vocal supporter of genetically modified foods who is against labeling. UC Davis has strong ties to Monsanto. I mentioned some of my concerns with the group and I also sent an email to an Academy employee involved with the project about the potential conflicts of interest. Because of my concerns, members of the group were asked to fill out the Academy’s disclosure statement again and disclose any money they might have received. On March 22, 2013, I received a letter saying I was dismissed for not disclosing my consulting business, listed on my blog, healthyeatingrocks.com. I was shocked to say the least, especially since I do not have a business. At some point I would like to pursue one, but I am too busy with my full-time job and family obligations. And that is why I decided to talk to the New York Times. Then the Academy posted a statement that was filled with inaccuracies. I did not refuse to “disclose any and all conflicts of interest.” Why would I disclose something that does not exist? I did disclose however, that I received $135.00 from two sources that were relevant to the project, as they required. The Academy also says that “She was simply asked, repeatedly, to disclose this information and she declined to do so.” However, it was my questioning of the group’s policy to include people on the committee with ties to industry that led to the Academy’s request for more information from the entire group, not only me. And I complied with their request. It was clear their minds were made up. A nonexistent business, not disclosed, was a bigger concern than two people who are involved with industries that would directly benefit from an evidence review and position paper with a positive slant toward genetically modified foods. All of this posturing takes away from the real issue: Is it appropriate to have people involved with the biotech industry, which could benefit from the outcome, sit on a biotech-related work group? I don’t think so. Additionally, I found it alarming that the Academy was intent on moving forward with a position paper, written by Christine M. Bruhn, PhD, to be published before the evidence review was complete. She wrote the Academy’s 2006 position paper, which said that GMOs “…enhance the quality, safety, nutritional value, and variety of food available for human consumption and increase the efficacy of food production, processing, food distribution, and environmental and waste management.” I am guessing her 2013 version will offer up more of the same. Sadly, it is the American people who are the losers in this situation because they will probably not get clear, unbiased, and balanced information about what to eat from the organization that represents the largest group of nutrition-related health professionals in the country. Is the Academy of Nutrition and Dietetics committed to telling Americans the truth about what they are eating? I, for one, am not convinced. What do you think? Thanks to all the people who have supported me. Your kind works and notes of encouragement have meant so much to me. Someone even started a petition to get me reinstated to the work group!